For those people who want to establish their credit worthiness they should look for a credit card that helps build and rebuild credit history. People who have maxed out their previous cards and who may have incurred several delayed payments may suffer from a low credit score. This can seriously affect future interest rates and loanable amounts for different loans and mortgages resulting in heavy payments. However, everyone deserves a second chance and thats where First Interstate Bank’s VISA Secured Credit Card comes in. First Interstate Bank’s VISA Secured card is perfect for those individuals who want to rebuild their credit as well as those who want to establish it. People will be able to make use of this card because they can have it even if they had no credit history in the past or even if they have a bad credit history. This will be their stepping stone in getting other forms of credit finances. The Visa Secured credit card by First Interstate Bank also offers a secured certificate of deposit which is actually established by the customer or owner of the account. This kind of card can also be backed up with any type of savings account which will turn out to be the collateral. Its annual percentage rate or APR for balance transfers and purchases is 16.25% with a 24.25% APR for cash advances. The annual percentage rate will vary on the market prime rate. On the other hand, the annual fee for this credit card is $39 all in all including the other services and charges. To those who want to apply and get this card, they should not hesitate to visit any branch of First Interstate Bank. It is very easy for people to apply to such card just as long as they know they are qualified. 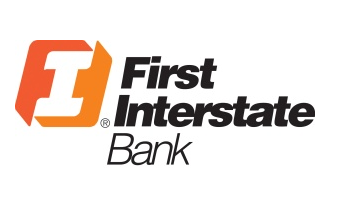 IFirst Interstate Bank’s Secured card is one of the best in the nation today. It does not only allow people to spend but it will also allow them to rebuild credit worthiness.